1200mm tall x 600mm diameter. 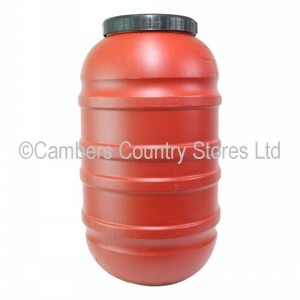 These barrels have been used for food stuffs and are easily cleaned out. Design colour and shape of barrel can vary.